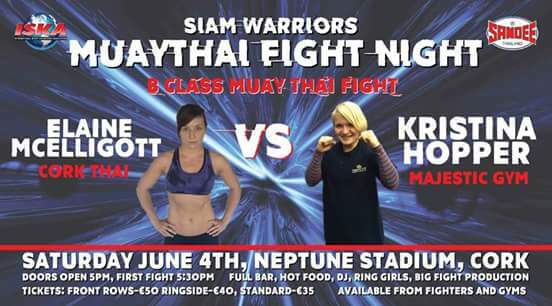 On June 4th Elaine McElligott (Irl) steps into the ring against Krisinta Hopper (UK) She talks about fighting, retiring and now fighting again with a wiser approach to her body. 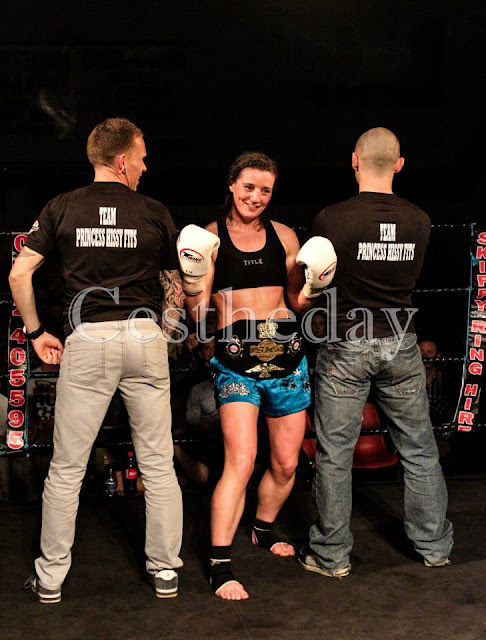 About a year ago Elaine was retired, months since she’d left MuayThai competition burned out from two intense title bouts. She explains: “In Feb 2013 I fought for a Four Nations title. I’d thought that would be my last fight so I went, well I went full-on, all-out for that one. I just gave it everything with training, it was tough psychologically. But before she made her plans official, ISKSA offered her a national title against Kelly Creegan, so back she went with that same intensity. 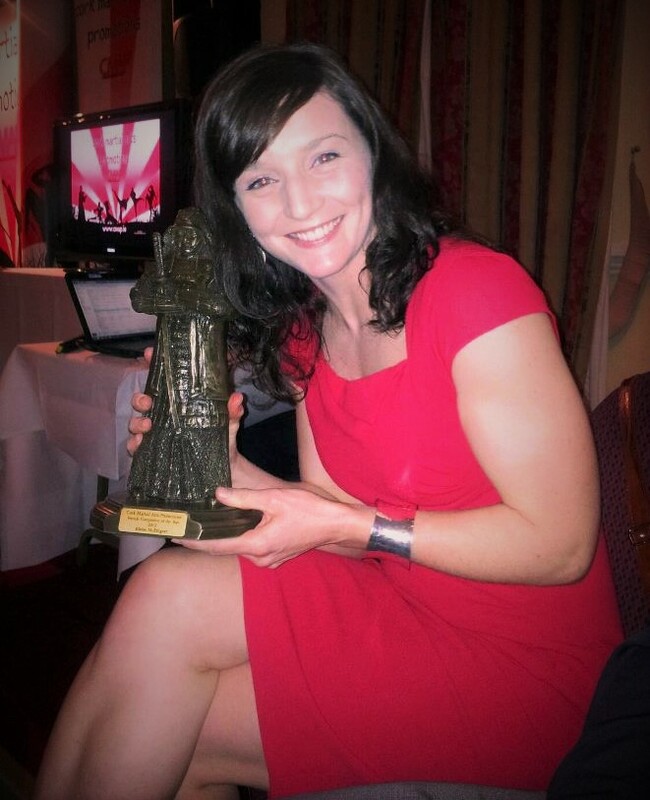 Training under Brendan O’ Shea in Midleton, she pushed herself hard and beyond for that fight in October 2013. “I just lost the love for it, I made myself sick of it. I over-trained, nothing but winning would do. Before this, I’d just wanted to fight; win, lose or draw it hadn’t mattered to me. I just wanted to get in there, I enjoyed it all,” she said. So a long break followed; she trained sporadically, focused on running. But something kept nagging her, unfinished business in the ring. And when the chance came last year to take a few months off, a natural break between jobs, somehow Thailand was the obvious destination. She said: “I took a good break. When I went I wasn’t even sure if I would end up fighting because of the way I felt about it. I wasn’t sure if I would just train, but I found fighting out there is different. She won the fight with a second round TKO, taking her record to 15 fights, two losses. The Kerrywoman has fought opponents from England, Spain, Greece, Holland and Thailand as well as Ireland thanks to promoters taking a chance. This is a bigger generosity than it seems, as most promotions expect fighters to sell tickets and draw in the crowds. Some even base fighters’ purses on how many tickets sold in their name. Elaine said: “There’s a very good promoter in England too, Johnny T and he’s brought me over a couple of times as well, against a Spanish girl and stuff. So there’s no money in it for him. It’s great for me, it’s not going to sell tickets for him. I really appreciate it. She explains in her eight years fighting there were gaps as long as nine months between bouts because it’s still difficult to find opponents. This fight on the 4th is her second attempt at fighting here, having pulled out due to injury in October. Now 35, she’s found a different approach to training. She goes for personal advice at Aclai as well as twice-weekly training sessions at The Train Station mixed up with up to five sessions of MuayThai under Anthony Corkery, a pioneer in Irish MuayThai. Her diet is based around fruit, veg, pasta, rice, meat but balanced under the Slimming World portion-plan – a kick in the behind she says to keep her focused. Inspiring stuff! Well done Elaine!